G-RAD is Gerad Stemke. A singer/songwriter and multi-instrumentalist performer who has been actively releasing original music and entertaining crowds since 1997. Primarily releasing work as a singer/songwriter/acoustic guitar player, G-RAD currently has 3 albums available for consumption and 2 EP’s, which are all available to stream in their entirety for free in the G-RAD Store. Catch him street performing in San Francisco at one of his frequent Guerrilla Radio style performances. Sign up for the mailing list on the homepage to stay up to date with events and releases, as well as exclusive free offers for dedicated fans. With the help of his father, mother, brother, sister, and high school friends, G-Rad released his debut album “Footprints in the Sand” on individually copied cassette tapes in 1997. The album went on to sell over 100 individually dubbed copies. A staple at the Anthill Pub, G-Rad would often fill the place up with raucous fans while performing with fellow anteater and current Alma Desnuda songsmith, Paul Suhr. The duo were famous for crowd pleasing hits such as “Liquid Confidence” and “The Dave Matthews Band Medley”. Upon graduation, G-Rad studied Computer Music Composition in Paris, France at the Centre for Composition of Music, Iannis Xenakis (CCMIX) in 2002. There he began honing his production skills with a focus on orchestrating pop style songwriting with ethereal effects, influenced by works such as Radiohead’s “OK Computer” and Wilco’s “Yankee Hotel Foxtrot”. In 2003, G-Rad and his brother, Evan Stemke, formed the band Agent Mess with Dennis Webb and Larry Swanson. Highlights of their three year career include headlining Hollywood’s Whisky A-Go-Go and self-producing their EP, “Cannons in the Dark”. The EP features many production techniques G-Rad began to develop during his trip to France. When Agent Mess broke up in 2006, G-Rad toured California relentlessly to promote his solo albums “Heart” and “Brain”, together forming the bootleg only concept album, “Somewhere Along The Way”. One of the more memorable shows took place at Universal City’s B. B. King’s when after being cut short, G-Rad refused to stop playing. Even after the PA was shut off and two large security officers approached the stage, arms extended, G-Rad continued to perform his final tune as they carried him away. Fans who were in attendance recount the tale with a gleam in their eye to this day. The flurry of songwriting occurring during 2005 and 2006 motivated G-Rad to enter a professional studio for the first time. With the help of Joey Arreguin and Ian Miller at Love and Laughter Studios in Anaheim, CA, G-Rad built a relationship that eventually culminated in two full length studio albums, “Hibernation” and “Liquid Confidence”. On August 8th, 2008, G-Rad and co-founder Fabian Oregon launched the record label One Sided, LLC. The label serves as a vehicle for releasing the voluminous G-RAD back catalog as well as forthcoming solo projects and collaborations. Follow us on SoundCloud and Twitter @1sided. Written well over 1,000 songs and performed for thousands of people, G-Rad’s music has touched many hearts and spread a lot of love. 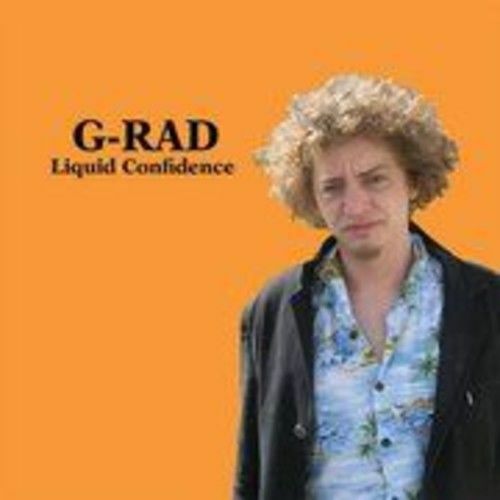 Stay close by as G-Rad continues to mine the depths of his soul and produce beautiful music for years to come.